On Monday 13th of March 2017 Irish Coastguard helicopter Rescue 116 was lost west of Blacksod, Co. Mayo. Senior pilot Capt Dara Fitzpatrick passed away in hospital with the crew of Capt Mark Duffy, winch operator Paul Ormsby and winchman Ciaran Smith missing and presumed lost. While the search continues to recover their remains and to find out how this tragedy occurred, we offer our condolences to the families, loved ones and colleagues of the brave crew. 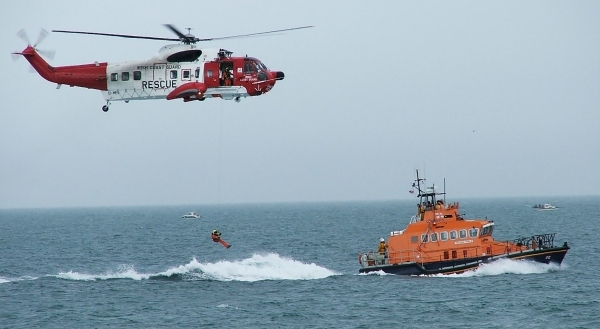 Like all Coastguards throughout history, they selflessly put their lives at risk to save the lives of others. Truly the bravest of the brave. Without such selfless citizens many more would be lost. May their sacrifice never be forgotten. My family were in the Coastguard in the 1800s & 1900s in the same area. Sincere and deepest sympathy to the families and loved ones of these brave people. Very sad tragedy. They selflessly put their lives at risk to save the lives of others. Deepest sympathies to their families and loved ones. Sincere sympathy to the family and colleagues of these brave people.